Hey everyone! 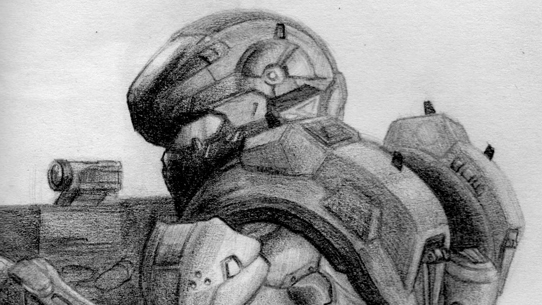 This week we’ve got another amazing slate of cool content in the Halo Community Spotlight. We know your motto: you deliver. And as always, if you want to give your cool creations the best shot at getting featured, use the hashtag #HaloSpotlight to help us find your contributions. Let’s take a look at all the sweet stuff on tap! Every once in a while, we see something awesome that doesn’t quite fit in one of our normal buckets. Such is the case with the awesome “Halo Mythic” tabletop game. This completely community-created and curated experience lets folks role-play D&D-style with their friends in their favorite sci-fi universe. Mythic is an all-inclusive tabletop roleplaying game set in the Halo Universe. For those new to tabletop RPGs, think of Dungeons and Dragons. But much different. Mythic allows players to choose their race, faction, equipment, training, and so on. Nearly everything about your character can be customized! The GM and players set up and play through missions and stories set within the Halo Universe. Every weapon, every vehicle, all equipment, armor, and even variants of each. They're all available to players from either the main handbook, or the ONI content book that is available. I wanted to make sure Players and GM could do whatever they wanted. Mythic has been in development for 5 years, now. Over time, adding everything new, introducing new equipment and possibilities, even making Prometheans playable. I do my best to make sure Halo Mythic can be the best it can be with my limited development time. 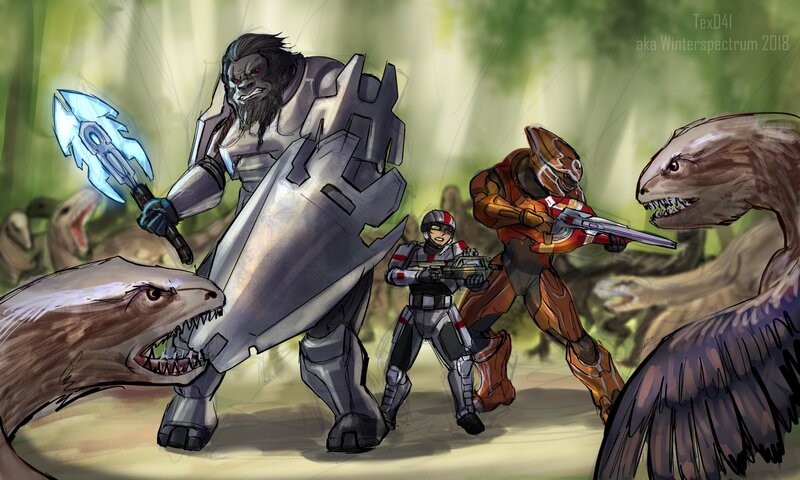 The above art was created by Winterspectrum as a commission for @SithVenator featuring personalized characters from a custom Halo Mythic adventure, a great example of the endless possibilities presented by your own Halo-adoring imaginations. If you are interested in getting involved, you can download the game’s latest beta guidebook, and make sure you check out their subreddit at r/HaloMythic. 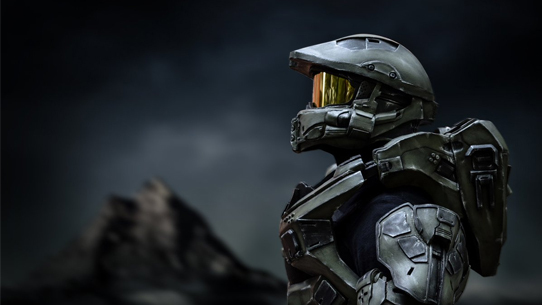 For fans of both Halo and role-playing, this is an amazing community project that has a ton of knowledge and passion poured into it – definitely give it a look! Sorry Bartelson, we can't give you new sinuses, but we can give you a new skin. Enjoy. ONE man has spent five years, and thousands of dollars, single-handedly recreating the iconic Warthog truck from the Halo video games. Bryant Havercamp, a phone technician from Michigan, built the incredibly-detailed replica completely by himself, using traditional fabrication methods, a 3D printer, and the frame of a 1984 Chevy K10. The fully street-legal recreation is based on a 3D model extracted directly from the Halo game, allowing Bryant to match the truck’s measurements to the in-game version. Bryant told Barcroft Media: “Most people when they see this thing are just absolutely floored with how realistic it looks." Floored indeed. Of course, after watching this, the very next thing I want to floor is the throttle of this badboy. Check it out! 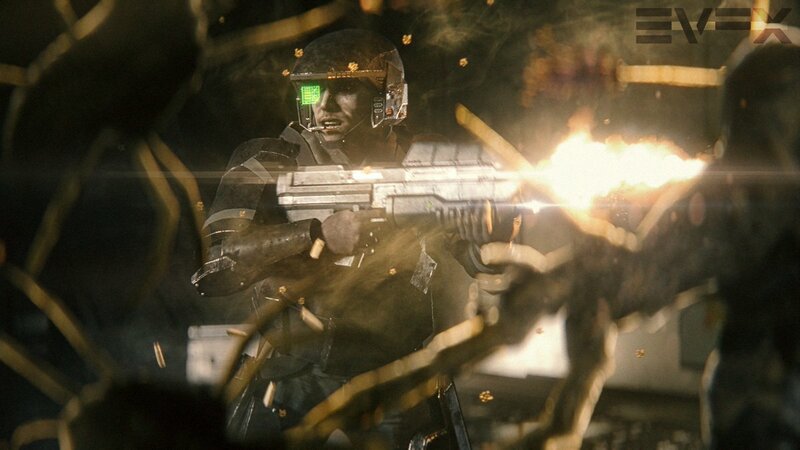 Speaking of more amazing concept projects, check out "Halo for the Sightless and Visually Impaired" by iForge & SightlessKombat. Yes, you read that right. Check it out! Today we bring you a special treat from Halo 2. This skybox has been known since Halo 2's youth, and many have attempted to clip inside the skybox, located beneath the multiplayer map. Somewhat recently, it was discovered that it is possible to survive inside the area if you can get to it in time, as it is surrounded by solid space. An idea that Harc and a few others tried was debouncing. While they could get close, it seemed too unreliable to use. Going back to the new Halo game mindset, it was realized that if you can clip a vehicle through the floor and get out close to the skybox, the game would clip you in. We used a dummying technique that allowed this to happen and got in! "ODYSSEY" – a very cool edit by Scorpio! Alrighty everyone, that will do it for us. But before we go, a little surprise. Fans featured in today's Halo Community Spotlight will not only be eligible to receive the Fire Unicorn Skin in Halo 5: Guardians, but will also be the first to earn a brand-new Fire Unicorn skin for Halo: The Master Chief Collection! Note that the eligibility for this particular skin begins today. Thanks as always for all the incredible content you create, and for the time you spend with us in this universe we all love and share. Until next time… Live well, play Halo, and please move your Huragok away from open flames. Welcome back, everyone! It seems only fitting that we cap off another amazing PAX experience with a Community Spotlight, considering how many of you awesome people we got to spend some quality time with over the past week or so. 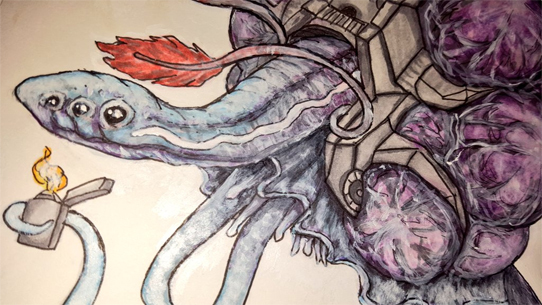 Today, as always, we’ve got more of your amazing creations to showcase, so let’s get right to it! It’s a beautiful day in the neighborhood, and a beautiful day for another Halo Community Spotlight. This week we’re stacked with more superlative-surrounded fan-fueled content for folks to feast their VISRs on, from renders and videos to screenshots and sketches. Hey everyone! Welcome back to our still-fledgling Community Spotlight feature. This edition brings another host of awesome content created by you, the amazing Halo community. Seriously, you never cease to amaze us with the stuff you all come up with. It’s kinda ridiculous, really. But we love it, so don’t stop.